It’s funny how baseball works sometimes. 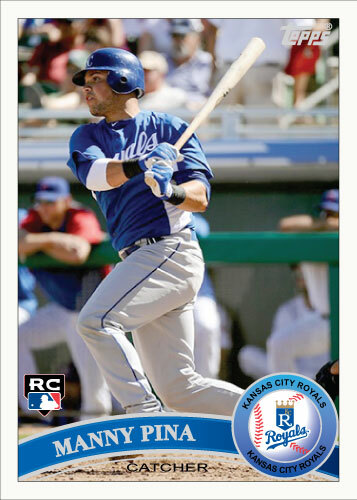 It appears that all in the same week Manny Pina will get demoted to AA Northwest Arkansas from the AAA Omaha Storm Chasers and now be called up to the Kansas City Royals. Matt Treanor got hammered in a collision at home plate in Cleveland and was almost immediately put on the 7 day disabled list meaning the Royals needed a second catcher. 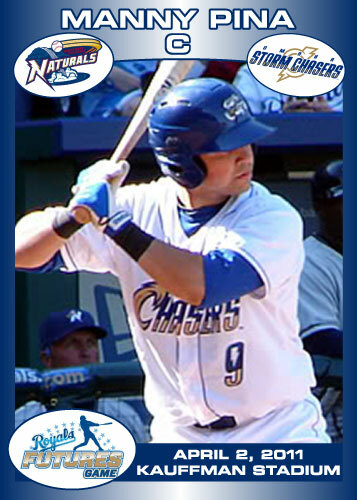 Manny Pina reportedly left his AA game in Springfield minutes later indicating that he was trying to catch a plane to Cleveland for the series finale between the Royals and Indians. I’m excited to see him at the big league level even though it appears Salvador Perez has passed him in the chain of players ready for the Royals at the catcher position. 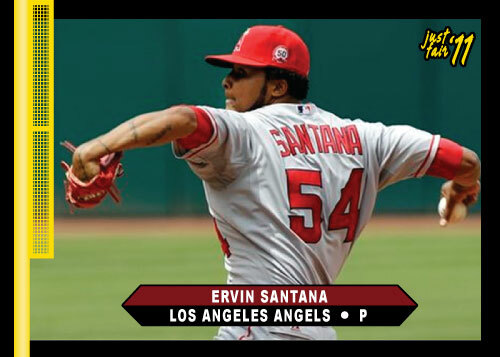 Pina is already on the 40 man roster so it makes perfect sense that he will be joining the team. Brent Seifert was a slam dunk for Player of the Year. He batted .353 in league games this year with 2 homers, 3 triples, an eye-popping 23 doubles and drove in 35 runs in just 43 games. Seifert was also great in the field, he consistently made good plays at both third base and second base for the team. If it weren’t for Peter Barrows’ huge year for the Nevada Griffons I think Seifert would have been the player of the year for the entire MINK League. Jayson Huett had a very good season. He started 6 games and went 4-0 with a 1.82 ERA. In my mind he had some stiff competition for the Pitcher of the Year award. I have narrowed it down to 4 major candidates. They are Jayson Huett, Adam Maddox, Cody Cunningham and Doug Shields. The first three players are starting pitchers and Doug Shields served as the team’s closer. Maddox had slightly better numbers than Huett but was padded by his no-hitter late in the year that happened after the Pitcher of the Year award was announced. Cunningham had a slightly higher ERA than Maddox and Huett and also had a no-hitter to propel his stats into contention. Of the three starters, I think Huett was the correct choice for the award given that Maddox’s no-hitter came after the award was given so it really didn’t count in this case. Then there is Doug Shields. Shields came in for the Mustangs and closed out many tight affairs without being hit much at all. His sidearm delivery and great breaking pitches made him extremely hard to hit late in the game. His stats were 3-1 record, 0.62 ERA with 9 saves. The ERA is almost invisible and the 3 wins are a big number for a reliever who pitched in only 20 games. 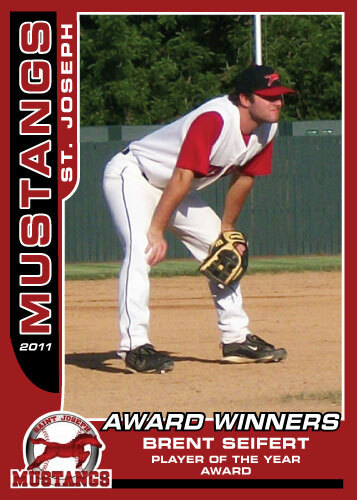 All things considered, I think Shields would be my pick for pitcher of the year for the 2011 Mustangs. 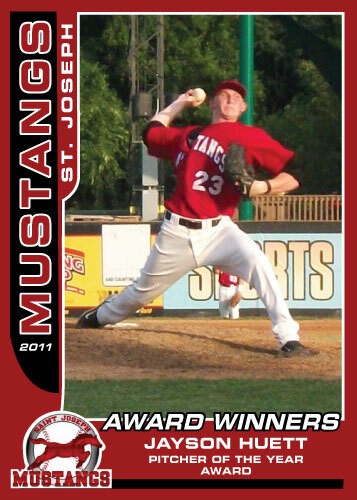 Huett pitched great and deserved the award but when the game was on the line in the late innnings the Mustangs constantly called on Shields, and he came through in a big way. 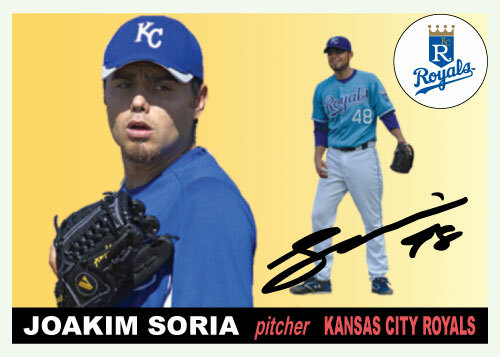 So here are a couple “Award Winners” cards I put together for the 2011 season. 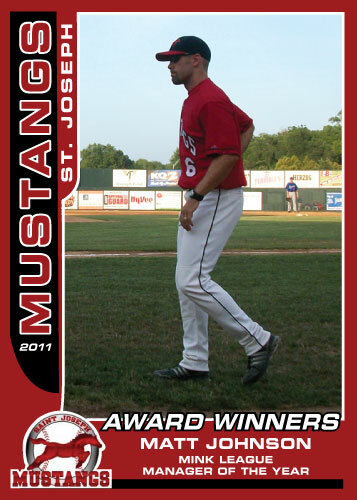 First is Matt Johnson who won the MINK League manager of the year award. This was well deserved, he managed what was almost undoubtedly the best squad in the MINK League. I have also always liked the way Matt Johnson uses his pitchers as well. I know pitching coach Matt Wilson has a lot to do with this as well. The pitching staff for a summer league team like this is a tricky situation. These players all play for colleges that could get very upset if their players are overused and it effects their performance for the universities. The Mustangs rotation varied but had about 7 starting pitchers in it. Kris Koerper won the Community Service award this year. The award just gave me an opportunity to use this nice pic I had of him waiting just outside the batter’s box. 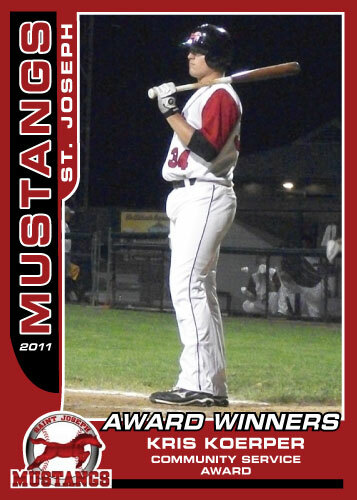 This is the last of my 2011 Mustangs players cards. I ended up with 32 players I think. 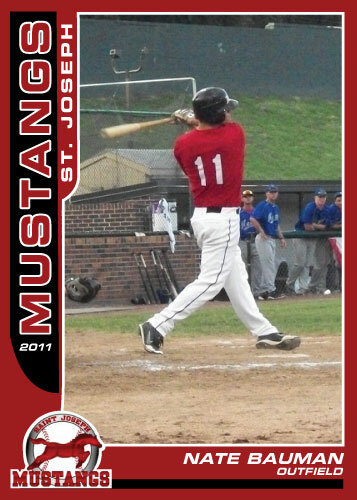 I will be putting up some other Mustangs cards during the World Series commemorating the season. Don’t worry Rally the mascot is coming too. My apologies go out to Mike Garza and Will Mulligan as two players I know of that I never ended up with pictures of, there might be a couple others too (I think one pitcher made one appearance) I missed. 1955 Topps is an interesting set. The cards are all sideways, one of very few sets ever to do that. The card also features two pictures and a signature. The one picture is typically a close up and the second is a full body shot. Most of the full body pictures were the typical baseball card poses, a pitcher having just thrown, a batter in his backswing, etc. They are all poses of some sort. The solid color background is a gradient and were usually red, green or yellow. The pictures on the card were usually painted looking. I don’t think I achieved the “painted” look and I think that is the most difficult part of re-creating these early cards.